Roadside memorials have a long history and in the Southwestern US they are usually marked with crosses as the main feature originally due to the Hispanic heritage of the region. It does not mark the place where someone is buried but where they were last seen alive and not necessarily where they died. These memorials are created by family and friends to commemorate the person and the cause of death is due to some sort of traffic mishap. To me the ones that I have come across regularly over years that have been maintained are particularly poignant. It is an indication that the person who is now deceased has not been forgotten by those left behind. The memory is so strong that the tribute continues to be tended as the spot of the final place the soul lost to them was a whole person intact as they knew them. 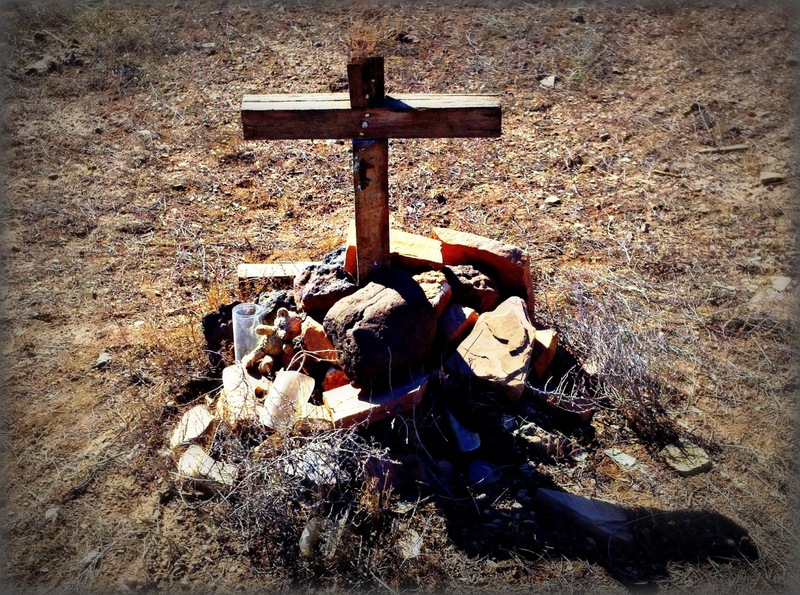 These photographs are of a roadside memorial in a rather remote area of Arizona and the highway depicted has a reputation for wicked collisions and fatalities and referred to as the "Highway of Death." These markers are also meant to serve as a warning to travelers cautioning them to drive safely. 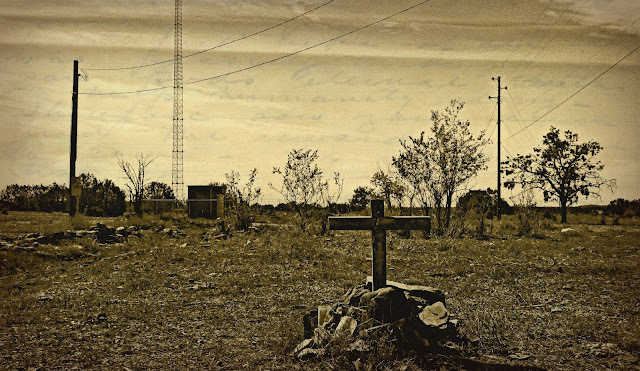 The Arizona Highway Patrol started placing white crosses in the nineteen-forties and fifties to mark the site of fatal car crashes and the tradition was carried on by family members of fatal collisions. 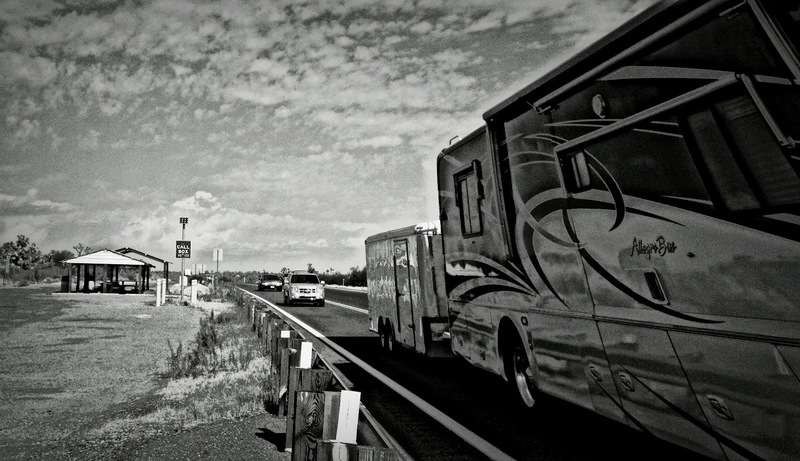 In Arizona and New Mexico Department of Transportation workers are not required to protect them but generally they are left unaltered or moved if necessary out of respect for the caretakers.